Here they are again. One of my favourite acts in the last years, though it is only their third track. 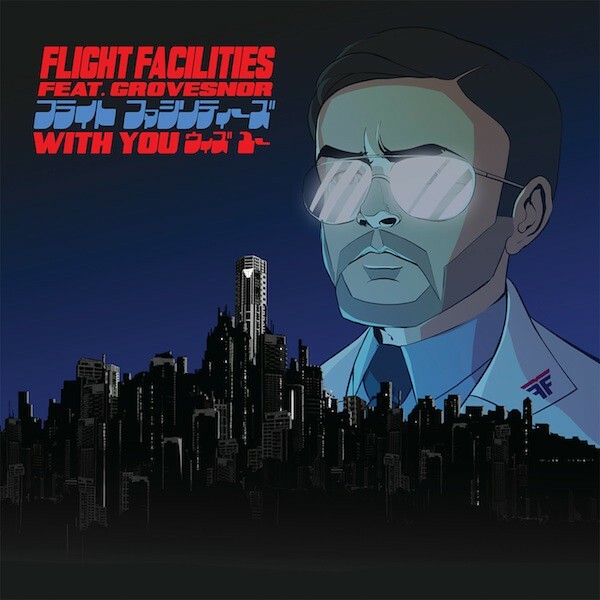 Flight Facilities from Trinidad and Tobago comes up with another disco-pop anthem and made a great deal with their featured artist. It is no one less than Grosvenor, aka former Hot Chip drummer Rob Smoughton. “With You” comes up with a huge remix package and what you definately should do is to listen to the remix of young hamburg guy David August. More remixes are coming from Danny Daze and from duo MAM, aka Miguel Campbell and Matt Hughes. But don’t miss their new video for “With You”. I don’t have to tell you that the video reminds someone to Daft Punk video . Sure, it is inspired by “Interstella 5555”. But guys, when can we listen and get the album. It is time, NOW! On February 1st, Hot Chip’s new single “One Life Stand” from their same named forthcoming album comes out. Watch their great video. And if you can not wait to listen to it on the road, you can pre-order it on Hot Chip’s homepage! Powered by WordPress v 5.1.1. Page in 0.381 seconds.